Each week in Nursery Bears, four children are chosen to take home one of our Brilliant Bears. This is to reward positive behaviours and attitudes in nursery. Each Bear will go home in a special bag with a diary for parents or guardians to record Brilliant Bears visit and a story to share. 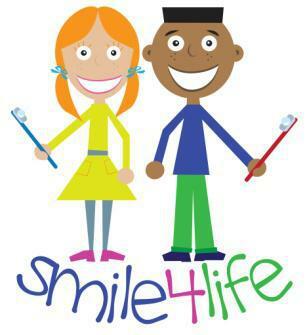 We are part of the SMILE4 life project and encourage children to brush their teeth everyday. Staff are fully trained by health professionals. This project aims to promote good oral hygiene routines from an early age and has been shown to improve children's dental health. All of our children are currently taking part and they each have an individual toothbrush in nursery. As part of the nursery routine the children brush their teeth daily. In order to make this time fun and enjoyable for the children we play a short song for the children to brush their teeth to. To enjoy this song at home click the link below. Moving and Handling - encouraging children to develop skills relating to control and coordination of large and small movements. Large movements includes running, jumping, climbing, throwing, catching, balancing, crawling and riding wheeled toys. Small movements includes hand-eye coordination, holding and using pens and pencils correctly, manipulating materials such as play dough, using scissors and holding and using book, tools and equipment correctly. Health and Self Care - children understanding the importance of good health and healthy routines and being able to manage their own basic hygiene and personal needs such as hand washing, using the toilet independently and dressing. In Bears Nursery we are constantly developing our physical skills, the children love to use and practice their large movements in the nursery garden and they use their small movements all the time without realising it! We regularly use the school hall for short PE sessions and the children love our dough disco sessions.